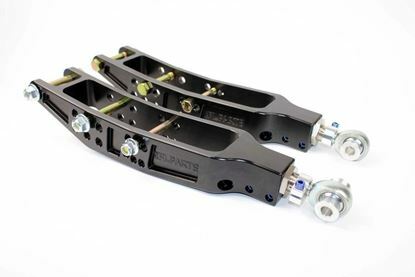 SPL Parts Front Lower Control Arm (FLCA) kit includes Black Anodized CNC machined Billet 6061-T6 Aluminum Lower Control Arms and 2024 Aluminum Trailing Links that provide track width, camber, caster, roll center, and anti dive adjustment. 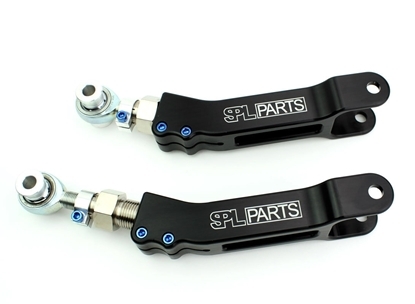 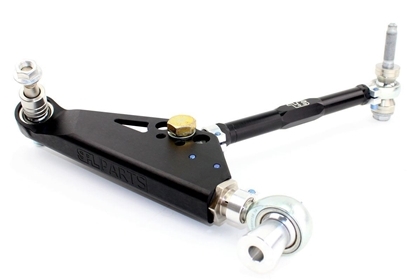 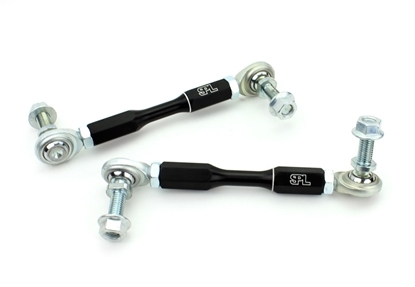 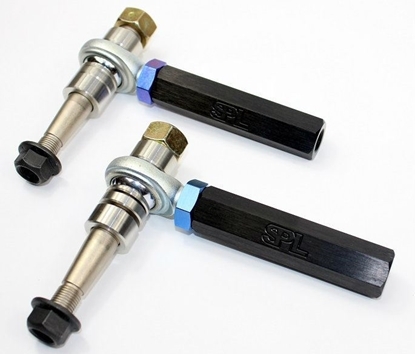 SPL Parts Titanium Series adjustable rear lower camber arms increase stability and response by eliminating bushing deflection and offer a wide range of camber adjustment. 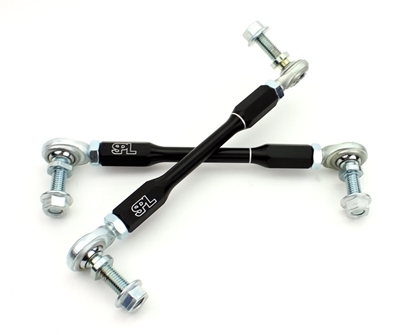 A must have for lowered cars!